Since starting our handcrafted soap making business in 1998, we now make more than 150 varieties of handcrafted soaps which are available daily at our retail store and on our web site for you and your skin to enjoy. We scent our handcrafted soap strongly, with fragrances true and accurate to their names. 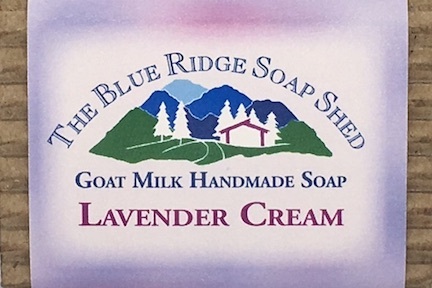 We also offer unscented versions of every variety of soap we make, creating handcrafted natural soap including our Hand Repair Soaps, Shea Butter Facial bars, Goat Milk Soap, Sensitive Skin and 100% Olive Oil Castile. We remain committed to bringing you the finest handcrafted soap possible using only traditional methods. Our soaps are made in small, quality controlled batches from natural, pure food grade olive, castor, coconut and palm oils, as well as moisturizing natural ingredients like goat milk, shea butter and cocoa butter. Our vegetable oil blends create luxurious, smooth and creamy soap bars with incredible lather that you will never again want to live without! Our old fashioned method of handcrafted soap making, often called the cold kettle or cold process method, retains all of the naturally occurring glycerin in each bar of soap. So our handcrafted soaps will not strip your skin of your natural oils, while the glycerin in each bar of handcrafted soap will contribute additional moisture to your skin. Using gourmet ingredients and handcrafted methods, our handmade soaps will not leave your skin feeling dry and itchy like commercial 'detergent bars' from the grocery store usually do. All of our soaps are hand crafted in 140 bar batches, poured into wooden molds to set overnight, hand cut and placed on our drying racks to dry or "cure" for about four weeks. To create our scent blends we use organic botanicals, pure essential oils that create handcrafted natural soaps. We also use FDA approved 'skin safe' fragrance oils to re-create favorite scents when natural oils are unavailable. We use fresh goat milk from local farmers and organically grown herbs and botanicals whenever possible. Our handcrafted bath and body products never contain any artificial colorants or clays, artificial latherers, or low grade filler oils like cottonseed, soy or 'shortening'. We hope you will enjoy trying our many handcrafted varieties of soap.